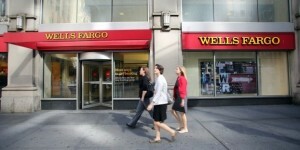 In an effort to help customers succeed financially, Wells Fargo (NYSE: WFC) is offering its customers their free consumer credit score and complimentary credit report through Nov. 16, 2014. For more information about this limited time promotion, visit https://www.wellsfargo.com/freecreditscore for more information. 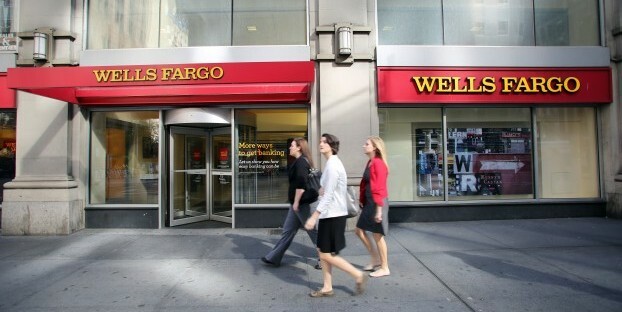 From October 1, 2014 – November 16, 2014, all Wells Fargo customers can access their free consumer credit score and complimentary credit report by visiting a Wells Fargo banking store and obtaining a unique personal access code from a Wells Fargo banker. Since its inception in 2012, more than 800,000 customers and team members have taken advantage of the promotion and obtained their free consumer credit score and complimentary credit report. In its third year, the Wells Fargo’s Free Credit Score promotion coincides with the American Bankers Association’s Get Smart About Credit day, a national campaign of volunteer bankers who work with young people to raise awareness about the importance of using credit responsibly. As part of the Get Smart About Credit program, Wells Fargo set a goal of reaching at least 60,000 people through volunteering in classrooms and community centers across the country to teach credit lessons. Check your credit report annually. Make sure your credit report contains current and accurate information. Errors could negatively impact your credit score and even be a sign of possible identity theft. Request a free copy of your credit report at least once a year from www.AnnualCreditReport.com or call toll-free 1-877-322-8228. Pay your bills on time. Your payment history is one of the biggest factors in your credit score – including things that may surprise you like on-time payment of your rent and cell phone bill. Using free online tools, often available through your financial institution’s online banking, can help you develop a budget and create an automatic bill payment schedule. Keep debt at no more than 35 percent of your gross monthly income. Lenders look at the amount of debt a consumer has compared to their monthly income when making credit decisions. Understand how strong credit impacts your bottom line. Your credit score influences the interest rate you qualify for. The lower the interest rate, the less you’ll pay in interest over time. Many sites, including Wells Fargo, offer calculators that help consumers understand how interest rates impact their payment and the total cost of the loan. Establish and maintain healthy credit – even if you don’t need a loan. Lenders aren’t the only people who use credit scores to make decisions – many insurance companies, cell phone providers and landlords do, too.